The Events Grid View Template add-on for Event Espresso 4 will display your events in a grid format. 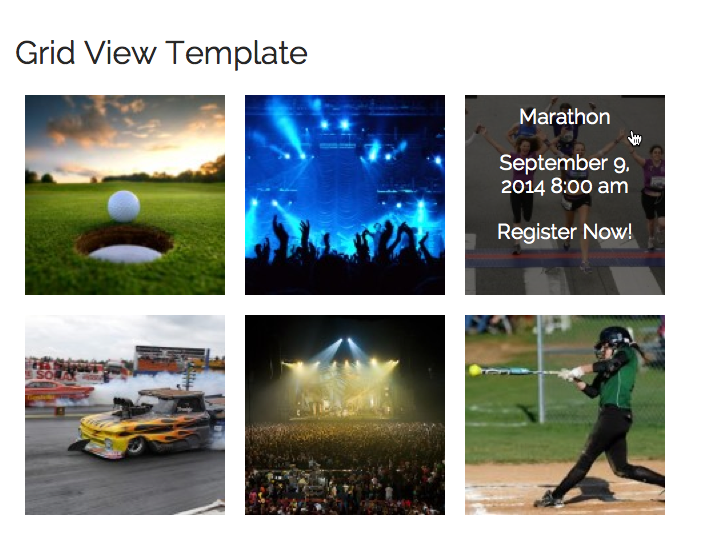 Need to buy a support license for the EE4 Events Grid View Template add-on? Download the latest version of the Events Grid View Template add-on for Event Espresso 4 from your Event Espresso account. The Events Grid View Template add-on can be used by adding a shortcode to a WordPress page or post. This is the default template and it displays events in a CSS grid structure, using the featured image for an event. Hovering over the image will display further information about an event. 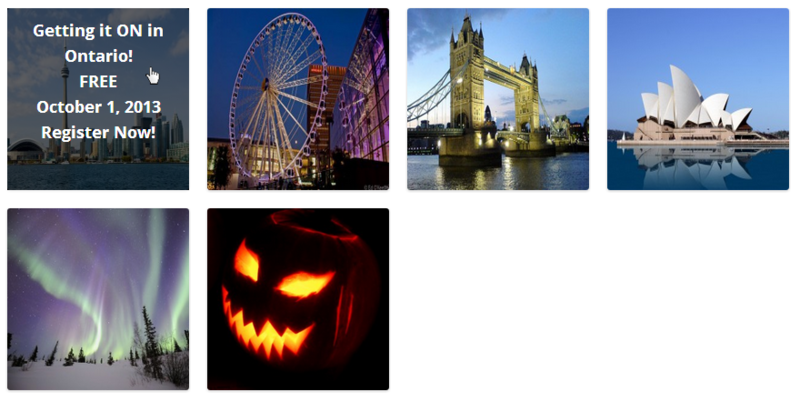 If the event does not have a featured image available, then it will use a default one. The default image is a white image with black text that states “Image Coming Soon”. You can change this by setting the default_image parameter to an URL of an image. These parameters (options) are available for the order_by shortcode parameter above. Multiple parameters should be separated by a comma. I can see event information but the styling looks broken. This add-on requires wp_footer() to work correctly. WP footer is used by many popular WordPress plugins and is used to load resources in the footer of a page. Please ensure that wp_footer() is being used in your theme’s footer (typically footer.php theme template file). espresso-grid-template.template.php file to your active WordPress theme. Need to buy a support license for the EE3 Events Grid View Template add-on? Download the latest version of the Events Grid Template add-on for Event Espresso 3 from your Event Espresso account. The Events Grid Template add-on can be used by adding a shortcode to a WordPress page or post. The plugin does not work as expected. Can you help?